One of the most popular version of Digital Calligraffiti project is the Infl3ctor Networked scenarios. The Infl3ctor table was built by Michael Ang and Hamza Abu Ayyash in an effort to transform the urban screens and façades into communication platforms and facilitate an intercultural dialogue. 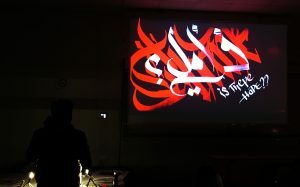 During the performance the artists on both sides are able to co-create calligraffiti tags in real time on a common canvas. In January 2017 the first successful attempt to synchronise two cities made between Berlin and Marseille as part of the festivals Chronicles-Acte 3 and CTM. 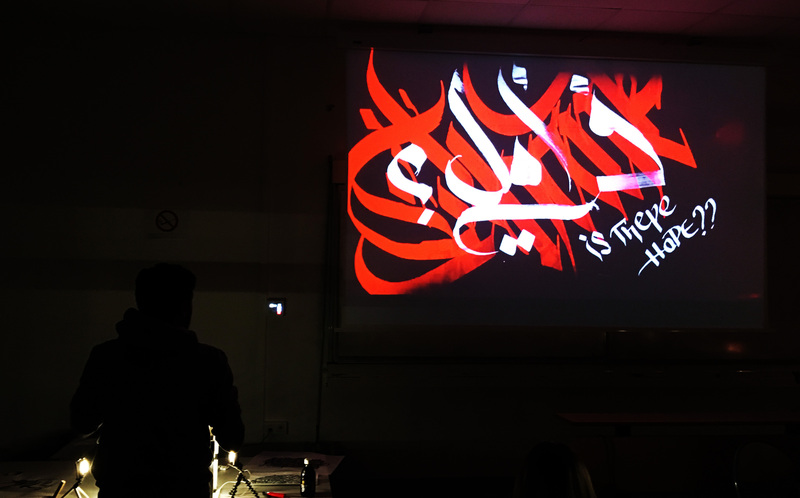 Ahmed Naguib and Michael Ang, in Marseille were exchanging and projecting messages with Hamza Abu Ayyash and Drury Brennan in Berlin for 3 hours. This collaborated performance opened up new avenues of artistic activity within the project and enabled artists to meet on common digital place.